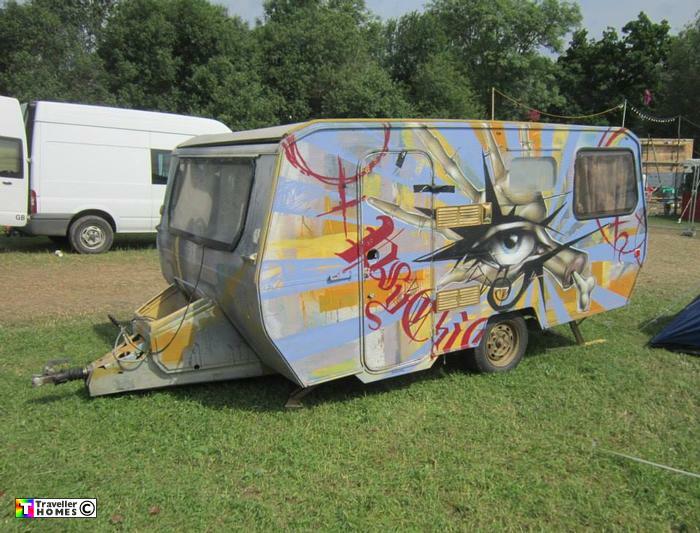 Painted Caravan Seen 2013 Pilton . Somerset . Photo = Gary Conway .